Since the museum acquired the Richard Lane Collection in 2003, it has become a hotspot for scholars to explore. Comprised of artwork and books, the collection continues to attract researchers who make discoveries. Most recently it was used as a teaching tool. 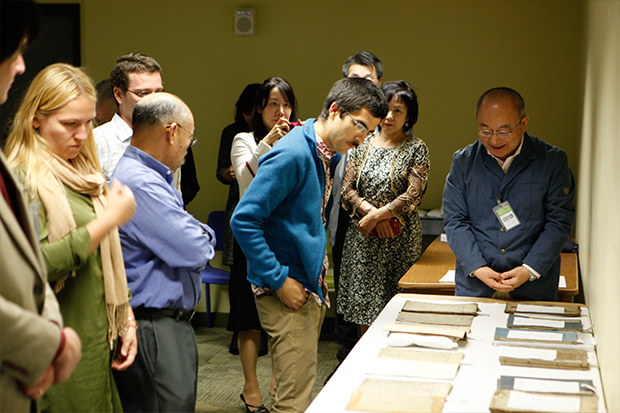 Friday, February 17, the National Institute of Japanese Literature (NIJL) gave a workshop on books from the Lane collection for graduate students from the University of Hawai‘i’s Japanese art history and Japanese literature programs. 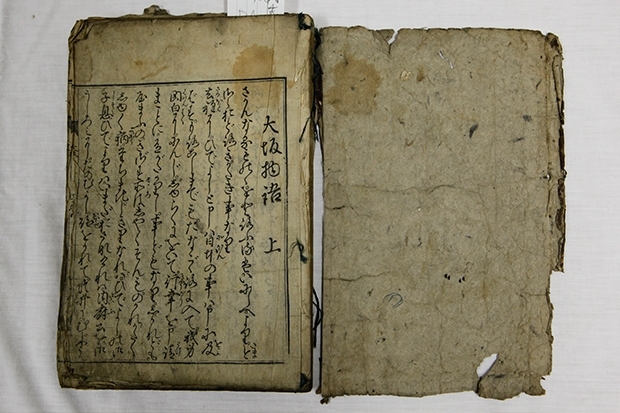 Organized by UH, the workshop was part of the NIJL’s “Project to Build an International Collaborative Research Network for Pre-modern Japanese Texts,” an effort aimed at globalizing research of pre-modern Japanese texts, especially for those who may not have any knowledge of the Japanese language. 2014: Korea ‘buried treasure’ discovered in the museum basement!